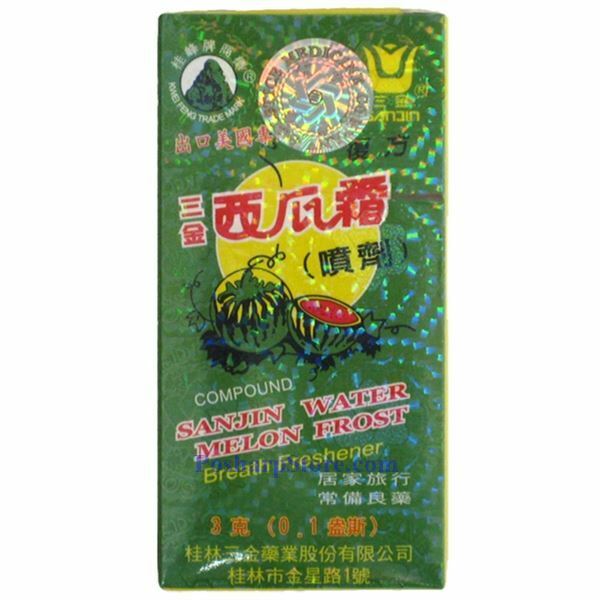 Sanjin Watermelon Frost is a pure herbal breath freshener for inflammation of the mouth. 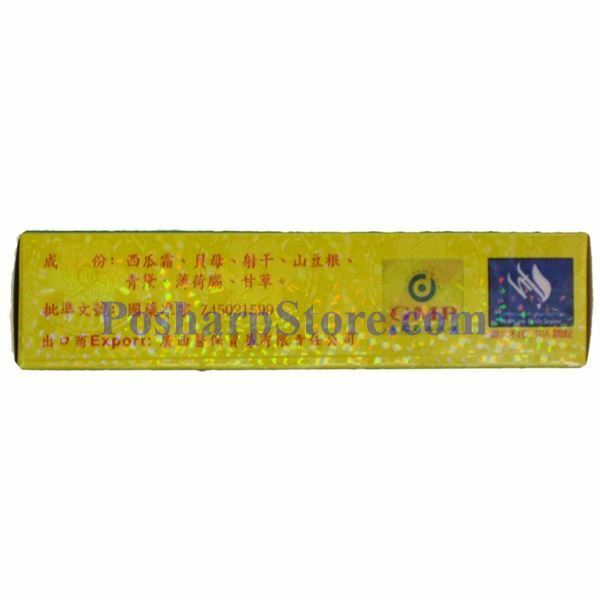 It helps reliefs of sore and scratchy throat, mouth sores & canker sores, toothache & gingivitis. 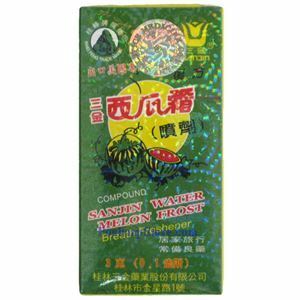 The spay version is the strongest one in the family of Sanjin Watermelon Frost products. Directions: Use this spray to freshen your breath with a delicious watermelon flavor. Ingredients: Watermelon Fruit Extract, Fritillaria Bulb, Belamcanda Chinensis Rhizome, Sophora Root, Indigo Puverata Levis, Menthol Licorice Root.